In this video, Neil deGrasse Tyson tries to put into perspective how much $50 billion is – in his unique, clever way. You have to watch it. This is the largest U-Haul trailer you can rent – the 26-footer. Most of us have been inside one of those before. I certainly have. I once moved across the country in one of those. They are huge. Now say you filled it up with one-dollar bills, from bottom to top, even in mother’s attic. The bills are not just stuffed in, they are neatly stacked and carefully arranged to get as many into the truck as possible. How many trucks would you need to haul $50 billion? 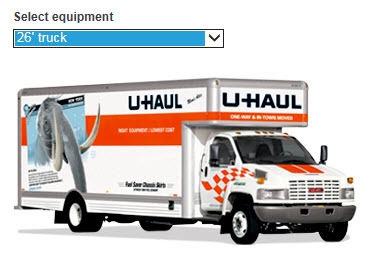 You would need 1,245 U-Haul trucks (yes one thousand two hundred and forty five) to haul 50 billion dollars.